Why wont my email with the link to my form go through? I sent my form out to myself and my wife via email as a test run but for some reason it wont go through. After I click the send button it says my email has been sent on the site but it is not actually going through. 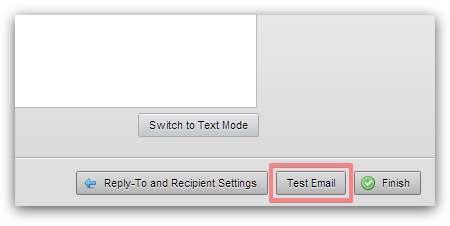 Do you use a Test Email button? It is supposed to send a test message to your account email address m************@yahoo.com. I have just made a test with my personal @yahoo email address and I was able to receive the email. Please also check your Spam folder.